Download and print these free worksheets, handouts and coloring pages for teachers, students, and lifelong learners. Great for personal or classroom use. We hope you enjoy them! 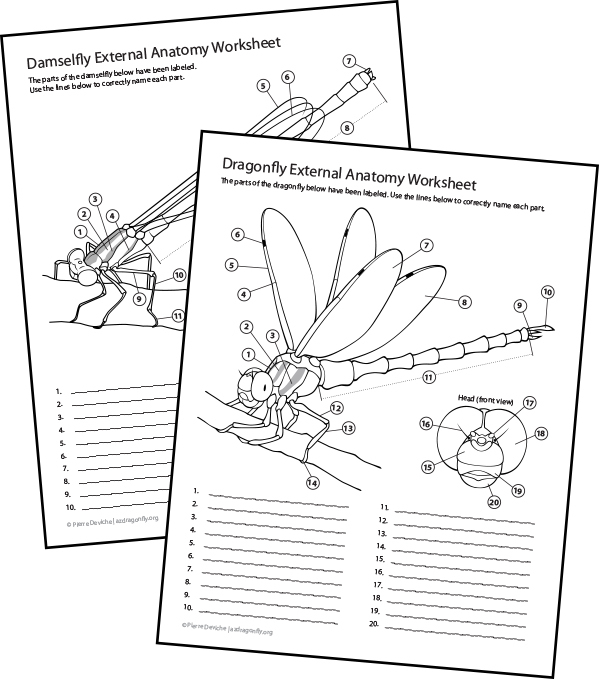 Printable handouts of damselfly and dragonfly external anatomy. 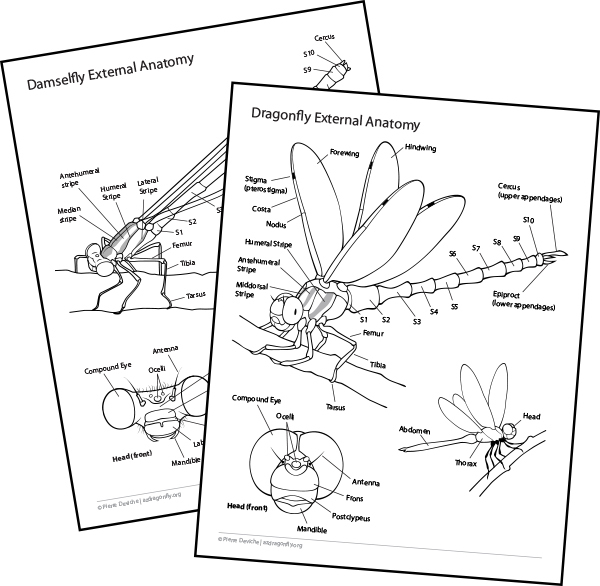 How well do you know external dragonfly and damselfly anatomy? Test your knowledge with these printable worksheets. How many of the damselflies and dragonflies of Arizona have you seen? Keep yourself organized with these handy checklists, including a space for where and when you first saw each new species. Challenge yourself to find as many different species as you can! Tip: Check out our Species pages for maps of where each species can be found. Or, take a look at our Location pages to see what species can be found at each specific locations around Arizona. Happy dragonfly hunting! 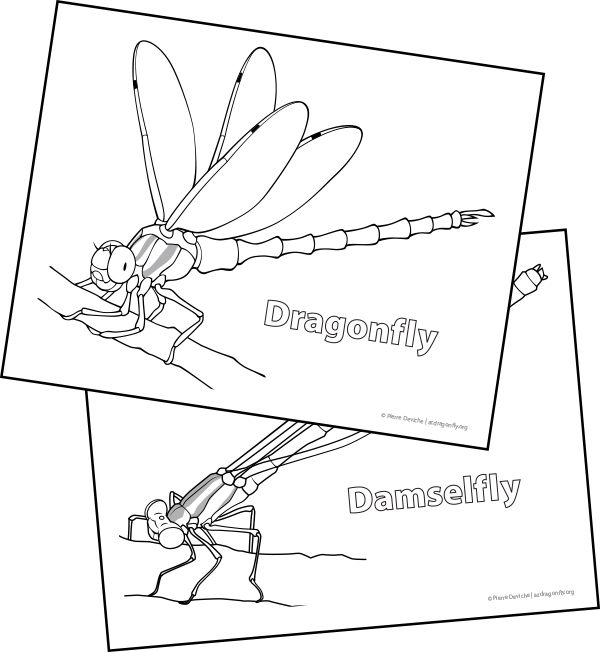 Printable coloring pages of dragonflies and damselflies for those who love to color. Crayons, markers or colored pencils work well. Color them realistically like your favorite Odonate species, or let your inner artist run free and color them however you'd like!